Happy Spring! 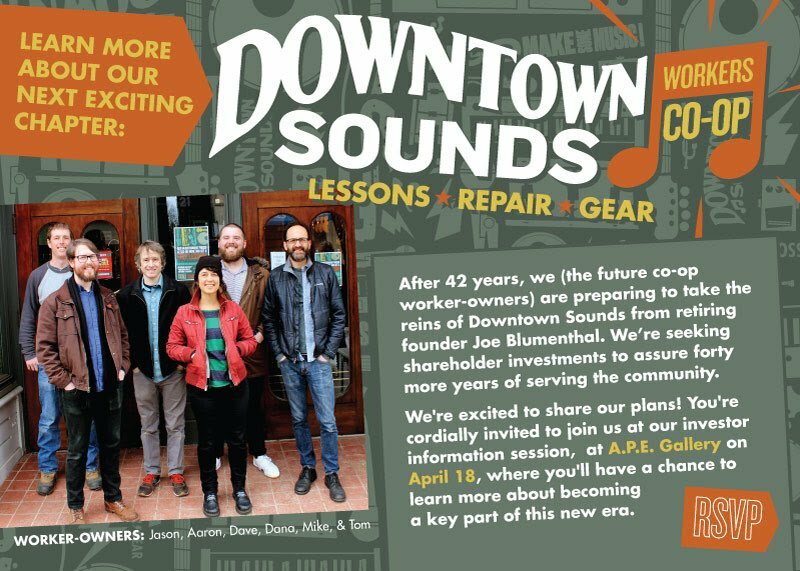 Please join the Downtown Sounds crew for a free information session with social time, refreshments, and live music to learn about the new era of Downtown Sounds Workers Co-op, and your opportunity to participate in its future success by becoming a shareholder-investor. Copies of our business prospectus will be available upon request after the presentation. Expect some short remarks by retiring owner Joe Blumenthal, plus Jim Armenti, a couple of the worker-owners, and our business consultant. The venue requires a guest list, plus we need to plan for food/drink, so please add your name HERE. CURIOUS, BUT CAN’T MAKE IT? We’re happy to send you a copy of the business prospectus.